If ever I had a weakness, it’s chips! I’m not gonna lie, those little crunchy triangles of salty goodness were/are a hard habit to break. 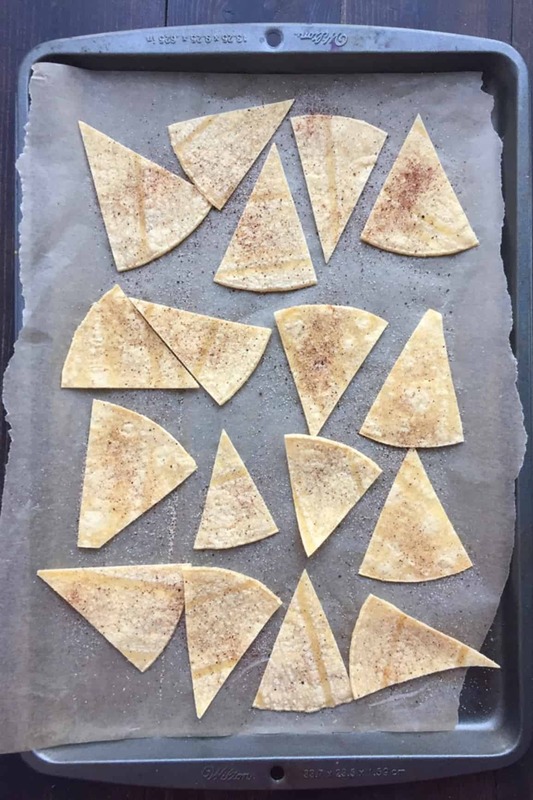 But, what if I told you, you could make healthy homemade tortilla chips that are super easy, don’t take much time, and are actually good and good for you? Impossible, right? No! And, they do…exist. Chances are you have everything you need in your cabinet or pantry to make these. There’s just one ingredient – ONE – corn tortillas! If you don’t have some, it’s time to jump in your car and head to the store ’cause you got some chips to make! 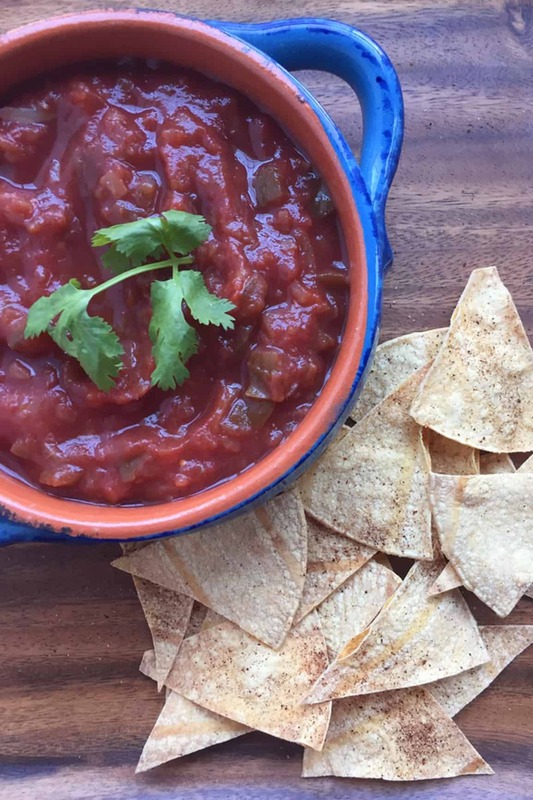 Apart from being much healthier than the “heart attack in a bag” varieties that sit on a shelf, these chips are also very inexpensive to make. I think I spent around two bucks for a pack of tortillas. Make a ton of these things and keep them in a large Ziploc bag for road trips, sporting events, sneaking into a movie theatre, etc. The possibilities are endless. Go ahead and make these…I dare you. Then, leave a comment, rate it, and tag a photo #shaneandsimple on Instagram so I can see it. Later, everyone! 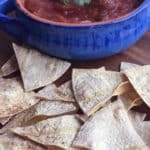 Easy to make, 1 ingredient healthy homemade tortilla chips that are crunchy and guilt free. 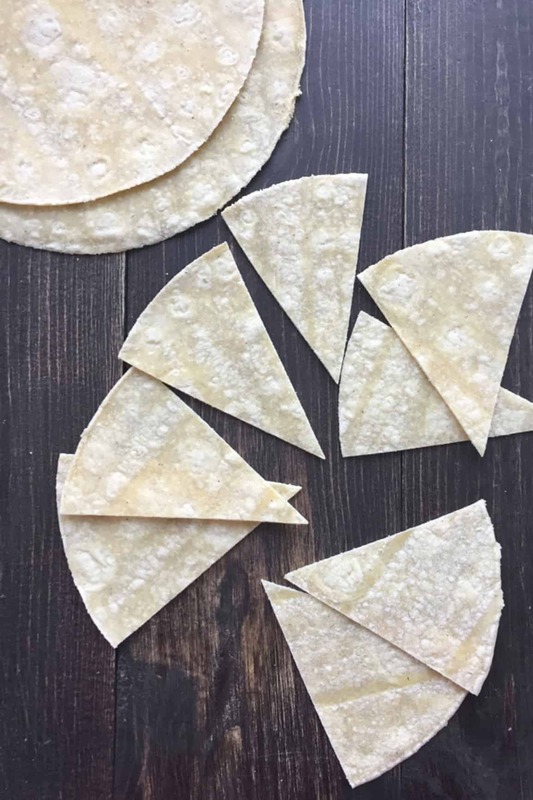 Using a pizza cutter or a knife, cut tortillas into 8 triangle pieces and place on baking sheet. Bake for 10-12 minutes or until crunchy, but be careful not to let them burn. These are great plain, but I like dusting mine with a little garlic powder, onion powder, and chili powder. Feel free to season any way you like. 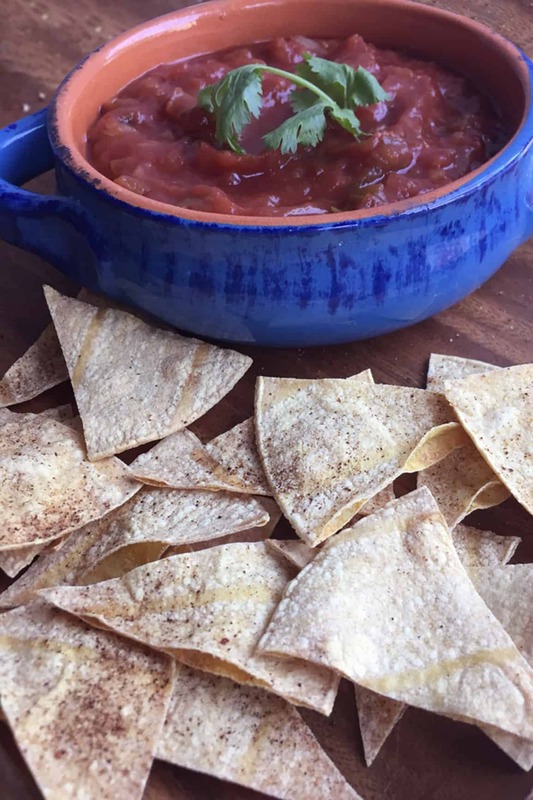 Chip and no guilt? I’m in! Thanks! Deellliiiissssshhhhh! Awesome! Found my new favorite!